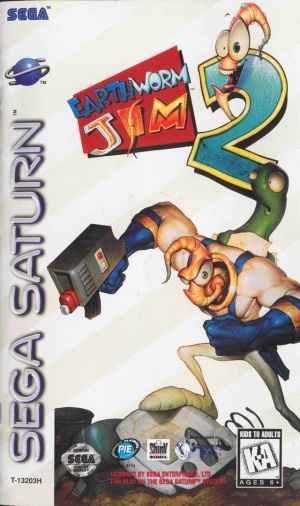 'Earthworm Jim 2' (アースワーム・ジム２) is the direct sequel to Earthworm Jim, released in 1996. The Saturn version is enhanced in both visuals and audio compared to the Mega Drive and SNES versions. 0.9.14 U Mac OSX 10.11 Software Playable, no music. Earthworm Jim 2 on YouTube.